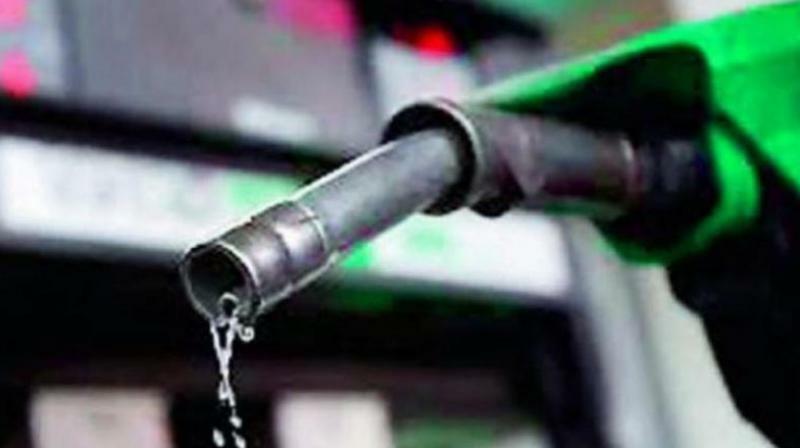 Mumbai is affected most with the hike as petrol and diesel are being sold at Rs 88.12 and Rs 77.32 per litre. Fuel prices continued its northward march on Monday with petrol and diesel being sold at Rs 80.73 and Rs 72.83 per litre in the national capital. New Delhi: Fuel prices continued its northward march on Monday with petrol and diesel being sold at Rs 80.73 and Rs 72.83 per litre in the national capital. This comes at a time when around 21 Opposition parties, led by Congress, are witnessing 'Bharat Bandh' against the Bharatiya Janata Party-led Government at the Centre. The petrol and diesel prices saw a hike of 23 and 22 paise per litre respectively in Delhi. On the other hand, Mumbai is affected most with the hike as petrol and diesel are being sold at Rs 88.12 and Rs 77.32 per litre. In Odisha, Congress workers blocked a train at Sambalpur while protesting along with other opposition parties in the morning. Meanwhile, bus services of North Eastern Karnataka Road Transport Corporation (NEKRTC) are not operational today due to the 'Bharat Bandh'.